Jusuru International has been awarded the prestigious 2015 DSA Ethos Award for the successful repositioning of its flagship nutritional supplement, Liquid BioCell™ Life, and the relaunch of its company brand with a new name, new logo, new packaging, new products, and new messaging. The DSA Ethos Awards are designed to identify and promote programs that serve as examples of direct selling at its best. Jusuru International was launched in 2010 with its flagship product called Jusuru Life Blend, formulated with a patented, highly-bioavailable liquid collagen matrix, resveratrol, and 13 antioxidant phytonutrient fruits. Backed by numerous industry awards and multiple clinical trials, Life Blend improves joint mobility and lubrication, reduces discomfort, and promotes healthy cartilage and connective tissue. It was also clinically shown to reduce wrinkles from the inside-out without cosmetic injections, decrease dryness without the use of topical moisturizers, and reduce the enzyme that can make skin age. Users experience dramatic results and the company’s revenue has grown consistently at an exceptional rate since inception. “We decided to reposition our flagship product as the hi-tech, highly-advanced, patented, award-winning nutraceutical that it is, build the brand as the premier joint health supplement and a state-of-the-art nutricosmetic, and expand the market to new target audiences. It’s an honor that the Direct Selling Association recognizes the success of our launch with the Ethos Award,” said Asma Ishaq, Jusuru’s president. Jusuru International relaunched its company and its brand in 2014 with a new name, new logo, new packaging, new products, and new messaging, all targeted to reach new markets. NAME, LOGO, AND PACKAGING. Jusuru Life Blend was renamed Liquid BioCell ™ Life, based on the patented liquid collagen matrix, and along with this change came a new trademarked logo and new packaging that would position the product as a science-based nutraceutical. A “drop” element was custom designed for the new logo, with the outer drop characterizing the Liquid, the “b” representing BioCell, and the inner red drop defining the functionality of the product working from the “inside-out”. NEW PRODUCTS. With a formulation containing resveratrol and 13 antioxidant phytonutrient fruits, Liquid BioCell™ Life is targeted to meet the needs of the 50+ baby boomer market. The dramatic clinical and user results regarding the skin benefits of Liquid BioCell™ identified a yet unmined opportunity among a younger female audience, ages 40 – 50, wanting to look younger and ages 25 – 35 wanting to stay looking young. In response to a growing nutricosmetic market, forecasted to accelerate exponentially to $ 4.24 billion, Jusuru launched Liquid BioCell™ Skin, positioning it as a proprietary nutricosmetic with Liquid BioCell™, ceramides, collagen-boosting extracts, and 14 antioxidant phytonutrient-rich fruits. Additionally, the company developed its Hello Beautiful App to coincide with the new product launch, allowing consumers to take before and after pictures to measure results that are time and date stamped and properly formatted to share on social media. A new clinical study came to the conclusion that Liquid BioCell™ can protect the connective tissue of the musculoskeletal system and enhance recovery from intense exercise, illustrating promising new applications in sports nutrition, a market forecasted to grow 83% by 2019. 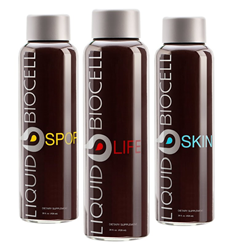 Liquid BioCell™ Sport was launched in September, 2014 as a cutting-edge nutraceutical that fuels physical and mental performance, promotes joint and muscle fitness, and boosts recovery in one proprietary formula with Liquid BioCell™, BCAAs, L-carnitine, 9 antioxidants, and unique performance-enhancing extracts. Liquid BioCell™ Sport is NSF Certified for Sport. NEW MESSAGING. The company’s main website, Jusuru.com, was redesigned with a fresh, modern feel to better champion the product, attract new target markets, and convey the company’s scientific message in a visual, easy-to-understand format. The website is also designed with 7 targeted microsites, including LiquidBioCell.com, which allow the company’s salesforce to send prospects to targeted areas of interest. To maintain professional brand integrity of the day-to-day marketing by its independent representatives, Jusuru also launched a highly-advanced marketing system called the Jusuru Media Center. The Media Center gives access to a complete library of professionally branded and customizable videos, audios, presentations, ecards, social media posts, catalogs, brochures, flyers, invites, banners, and more, and allows for measuring results. RESULTS. Jusuru International’s patented, award-winning nutraceutical, Liquid BioCell ™, was successfully relaunched, and the initiatives have given the company’s independent representatives the vehicles to catapult their businesses and expand their market base, resulting in a 217% increase in sales. Jusuru International was launched out of the science behind Liquid BioCell™, a new generation of nutraceuticals for joints, skin, and cellular health. Backed by 37 clinical studies, 7 US and international patents, and numerous industry awards, Liquid BioCell™ has been making its mark in the multi-billion dollar anti-aging industry. With over 20 years of R&D expertise and a scientific leadership team educated at Harvard, Princeton, Cornell, and Rice, their laboratories have been providing quality custom manufacturing services to the dietary supplement industry since 1994, and meet the most stringent quality standards governing the production of nutraceutical and pharmaceutical products. Their facility, occupying over 150,000 square feet, is a cGMP compliant facility following the current good manufacturing practices set forth by the US Food and Drug Administration. It is certified by three 3rd party auditors, the Natural Products Association, NSF and NSF for Sport ®, and holds a drug manufacturing license issued by the State of California Food and Drug Branch. DSA is the national trade association of the leading firms that manufacture and distribute goods and services sold directly to consumers. In 2013, U.S. direct sales were more than $ 32.7 billion with nearly 16.8 million direct sellers nationwide. The vast majority are independent business people—micro-entrepreneurs—whose purpose is to represent the product/service of a company they voluntarily choose. The cornerstone of the Association’s commitment to ethical business practices and consumer service is its Code of Ethics. Every member company pledges to abide by the Code’s standards and procedures as a condition of admission and continuing membership in the Association. For more information on direct selling, DSA and its Code of Ethics, please visit DSA’s website, http://www.dsa.org. 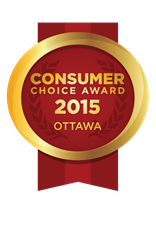 Consumer Choice Award is thrilled to announce the 2015 Top Service Providers in their respective sectors for Ottawa. We would like to extend heartfelt congratulations to all this year’s winners; your dedication to superior service has resonated with the people of Ottawa. BOURK’S COMPLETE CAR CARE LTD.
CAESAR’S PLUMBING & HEATING LTD.
P.O. Box 5679 LCD Merivale Rd. Consumer Choice Award lives in Calgary, Edmonton, Halifax, Hamilton, London, Montreal, Ottawa, Quebec City, Regina, Saskatoon, St. John’s, Toronto, Vancouver and Winnipeg. GBK (gbkproductions.com), the celebrity gift lounge and special events company, hosted their signature gifting event on April 10th and 11th at the Hollywood Roosevelt Hotel. Celebrities from TV and film visited the lounge in celebration of the annual awards show and left with a gift bag filled with an array of fun finds. The event featured both luxury and trendy lifestyle brands including the event’s Presenting Sponsor, LifeCell. LifeCell is an all-in-one anti-aging treatment formulated to target every aspect of aging skin, and they are a leader in cruelty-free and high quality anti-aging skincare. Other sponsors on the beauty and health front included Grande Naturals, who gifted their Outrageous Designer Gift Box which included 1 GrandeLASH-MD (3 month supply) and 1 GrandeMASCARA; and Celebrity Trainer Lalo Fuentes, CSCS who gifted 3 personal training sessions. Adding a little fun to the lounge, the following sponsors were on site to spice up the event with their unique gifts including: Nerf Rebelle – Get to the heart of the mission with the NERF REBELLE STRONGHEART Bow, NERF REBELLE’s largest capacity dart-blasting bow yet; Naughty Girls Donut Shop, gifting apparel, food and gourmet flavors of coffee; 4 nights at CeBlue Villas & Beach Resort in Crocus Bay/Anguilla for 2 guests, compliments of CeBlue Villas & Beach Resort and Caribbean Living Magazine; Boulevard Hospitality Group , giving gift cards for their various Los Angeles properties; and a 3 night stay in Rome, Italy, from Hotel Ripa Roma. Refreshments were provided by Bare Organic Mixers – a certified organic, low calorie mixer that is perfect for your favorite cocktails – and Nuvino Wine – creative, award winning and innovative single serve wine available in 4 varietals from 4 great regions. Alfalit International (alfalitInternational.org) is a non-profit organization that provides literacy programs for the underserved in the US and internationally. Their vision is to eliminate human suffering caused by illiteracy. Lambda Legal (lambdalegal.org) – Lambda Legal’s mission is to achieve full recognition of the civil rights of lesbians, gay men, bisexuals, transgender people and those with HIV through impact litigation, education and public policy advocacy and our work is an integral part of the continuing struggle for civil rights in America. Dr. Kevin Sadati is pleased to announce that the top choice among men and women seeking a more youthful and rejuvenated appearance for the new year is his signature Natural Facelift. Utilizing his Double “C” Plication (muscle tightening) technique, his patients receive a refreshed, youthful appearance without a ‘pulled’ or ‘artificial look’ often associated with a facelift. 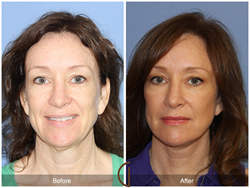 The Natural Facelift is performed in office and doesn’t require general anesthesia. This revolutionary approach allows the patient to return to his or her normal activities much more quickly than with a traditional facelift. In using local anesthesia, the patient’s discomfort is also dramatically reduced. Dr. Kevin Sadati has over a decade of experience in the field of nose, sinus and facial plastic and reconstructive surgery, and has become one of the most sought after Newport Beach and Orange County facelift, rhinoplasty, neck and face liposuction and sinus surgery specialists. GBK (gbkproductions.com) – the celebrity gift lounge and special events company, will host their signature gifting lounge on February 20th and 21st from 11am to 6pm in Beverly Hills. Celebrities and guests will enjoy a wide range of refreshments and trend-setting products, with music provided by GoodBoy. Featured sponsors include STOP-ATTACK.com, an assault-response application (app) and service for IOS and Android mobile devices. 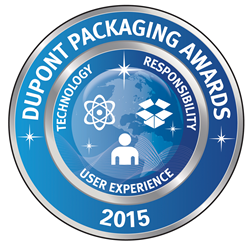 Designed to be easy to use, quick to activate and reliable, the app is an invaluable personal protection resource. Tap … record, get help, take control. On the health and beauty front, guests will enjoy a range of health, wellness, beauty and fashion including: Dr. Jamie Sands – Cosmetic Dentist, gifting a comprehensive dental exam and an in-office professional teeth whitening; Beauty Kitchen by Heather Marianna, providing skin polish, hand cut soap bars and natural spa products; DermaSet 3D Anti-Aging Renewal Treatment, an all-in-one anti-aging cream; exclusively developed new basicare beauty kits from basicare; Eustachi, a drug-free exerciser that helps clear your ears when traveling or fighting colds and allergies; a full range of hair products from Jonathan Hair Care; and L.A. Star Greens – Perfect 10, the world’s first certified organic blend of the top 10 superfoods – made in Europe for beauty inside out. Adding some fun to the lounge include products from MY M&M’S®, providing attendees with silver favor tins filled with award-themed personalized M&M’S® and creating a tabletop display where guests can create their own blends; WonderWoof – a dog activity tracker that promotes your pup’s healthy and social lifestyle; a collection of pet products and services from Support Ur Pet; and an eight piece assortment gift box from John Kelly Chocolates. On the fashion front, guests will receive: USA trademarked premium t-shirts, sunglasses and more from Blaze Clothiers – USA; Bohemian-inspired luxury jewelry from Shatra Designs; handmade bracelets made out of donated military uniforms to support many military non-profit organizations from Bands for Arms; and men’s jeans, printed denim tote bags, look books, and certificates redeemable for the newest styles in production from Haala Denim. Other sponsors include Energy Upgrade California, Energy Upgrade California® is a state initiative to help Californians take action to save energy and conserve natural resources, help reduce demand on the electricity grid, and make informed energy management choices at home and at work; Alila Hotels and Resorts, providing gift certificates for guests to stay at Alila properties in India, Oman, Bali and more; Still With You, a company that creates heart-warming memorial statues to comfort the bereaved in their darkest hours; Fancy Pants Wines, made in a fresh, approachable style with grapes sourced from some of California’s best vineyards, their light, refreshing Pinot Grigio and rich, juicy Red Blend are crafted to complement a variety of foods and moods; and a four night stay from Vive Hotel Waikiki. Charity participants include: Each Mind Matters: California’s Mental Health Movement, a movement made up of millions of individuals and hundreds of organizations working to advance mental health. Each Mind Matters will also be gifting items from their shop, and their sponsor hope & grace initiative, is contributing a jar of “renewed hope in a jar” all-day skin-renewing moisturizer from their product line. The hope & grace initiative represents an unprecedented and unending commitment by philosophy to support mental health and well-being.